Healthcare providers in the US are battling through a challenging regulatory climate. 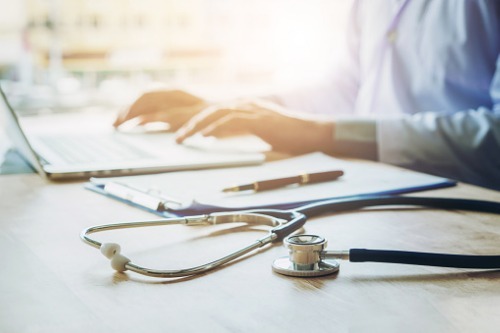 Changes in the past year, including Medicare and Medicaid billing error investigations, are leaving healthcare providers more open to exposure than ever before – and it’s important for brokers to relay the risks and soothe the regulatory fire. According to NAS Insurance Services, a key change initiated in 2017 was the government’s decision to almost double the fines and penalties associated with billing error investigations. This is the first time penalties and fines have been raised since the 1990s and the hike is significant, explained Kareen Boyadjian, assistant vice president, specialty underwriting, NAS Insurance Services. The billing audit appeals process can be “convoluted, tedious, and sometimes quite terrifying,” according to Boyadjian. She will be picking the process apart in the upcoming exclusive NAS webinar ‘Emerging Risks for Healthcare,’ in which she will also outline the insurance needs of healthcare providers in today’s challenging regulatory environment. A third issue Boyadjian will be tackling in the ‘Emerging Risks for Healthcare’ webinar is the sheer number of regulatory bodies making noise in the marketplace today. Healthcare providers are being scrutinized by various contracting organizations and regulatory bodies. In other words, “the heat is coming from all directions and the environment is only getting hotter,” according to Boyadjian. Learn more from NAS Insurance Services about the challenging healthcare environment in the exclusive ‘Emerging Risks for Healthcare’ webinar on September 18.